Lock in a great price for Nature Hotel Lukanc – rated 9.2 by recent guests! Beautiful location and exceptionally clean room. 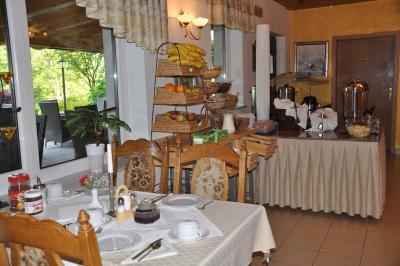 Delicious buffet breakfast and made to order eggs & pancakes. Very kind proprietors. Big room with great views to rear of hotel from the balcony. Lovely rural location with easy route down to the lake (only a few minutes) on single track road. We arrived too late for dinner (as expected) but owner gave recommendation and instructions to find a good restaurant down by the lakeside. Good stay , friendly staff ,genuine village surrounds with green pasture and cows . Mountain views . Streets to get in out of the village are pretty tight (smaller cars are better here :-) ) but it is not the hotels fault. Everything! Perfect location rigth in the center of nature with amazing view. 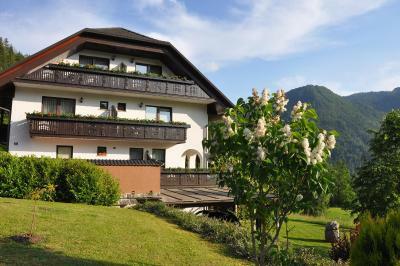 The hotel was located about a mile from Bled up a winding road, it was in a fantastic location overlooking forests. The hotel was spotless not a speck of dirt or dust anywhere. The breakfast was very high quality and the view from the restaurant was amazing. The hotel was wonderful. Great location in a wonderful setting. Sebastián was an amazing kind host. We stayed 2 days longer than anticipated. Breakfast was really good and the view from our balcony was beautiful. Thank you!! 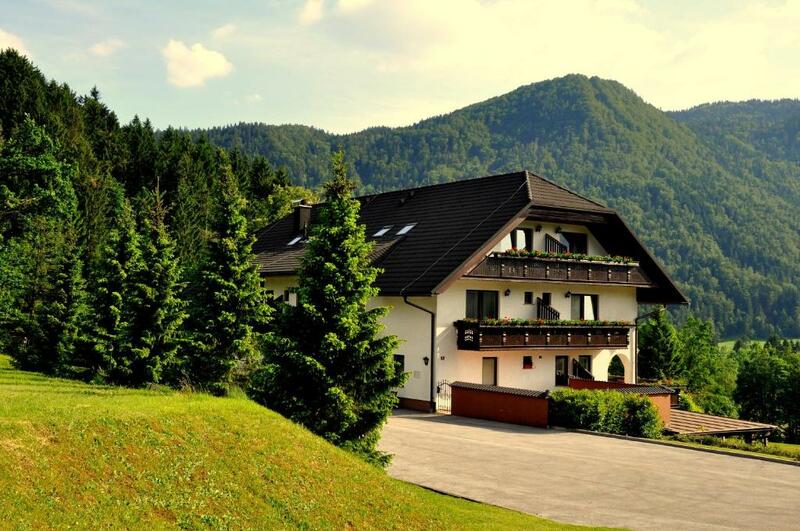 Nature Hotel Lukanc This rating is a reflection of how the property compares to the industry standard when it comes to price, facilities and services available. It's based on a self-evaluation by the property. Use this rating to help choose your stay! 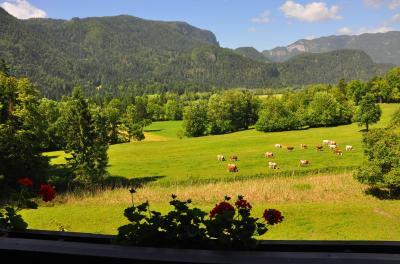 One of our top picks in Bled.Located 1.2 mi from the center of Bled, Nature Hotel Lukanc features a restaurant. Guests can relax on the terrace and have access to the communal garden. With a balcony in most units, rooms here come with a TV and some have free WiFi access. Each has a private bathroom equipped with free toiletries and a hairdryer. Guests can enjoy their meals at the in-house restaurant. Breakfast is offered daily. The shores of Lake Bled are 0.9 mi from the Nature Hotel Lukanc. The property features free private parking on site. When would you like to stay at Nature Hotel Lukanc? With a balcony, this room comes with a TV. The private bathroom is equipped with free toiletries and a hairdryer. Air conditioning is available in some units of this room type. With a balcony, this air-conditioned room comes with a TV. The private bathroom is equipped with free toiletries and a hairdryer. This triple room has air conditioning and soundproofing. It is located in the attic and features a roof window. This double room has a soundproofing and tile/marble floor. It is located on the ground floor. House Rules Nature Hotel Lukanc takes special requests – add in the next step! Nature Hotel Lukanc accepts these cards and reserves the right to temporarily hold an amount prior to arrival. Please inform Nature Hotel Lukanc of your expected arrival time in advance. You can use the Special Requests box when booking, or contact the property directly using the contact details in your confirmation. The hotel staff is very friendly and helpful. Great thanks for their kind attention and care) The hotel is located in about 2 km from Bled. The location is perfect for those, who appreciate natural surroundings. The room was clean, spacious and comfortable, we had a balcony. There is a free large parking. The breakfast is substantial and tasty. Hotel staff cooks eggs the way you prefer. Off-season the hotel resturant operates only for breafast, but there is a great variety for dinner options in Bled. The restaurant is not open for dinner until May 1. I emailed and messaged about this specifically but got no reply. Quiet rural location with lovely views. My dad and I had a great time here! Super friendly staff, awesome breakfast and everything was super clean! Nice and calm place with beautiful view. I would stay there again. The location is about 20 minutes' walk to Bled lake. Although a bit long it's really a nice walk through the farm with mountains around. The food is great, and the staff are friendly and helpful. I would definitely recomment this hotel, especailly for couple as the room's quite big for solo travellers. Great view! Quiet place at the edge of the village. The only thing that bothered me was the polyester pillowcase & the mattress cover. Andrea at the reception was very helpful and friendly. Spotlessly clean and quiet with a stunning view from the balcony.Breakfast was just great.